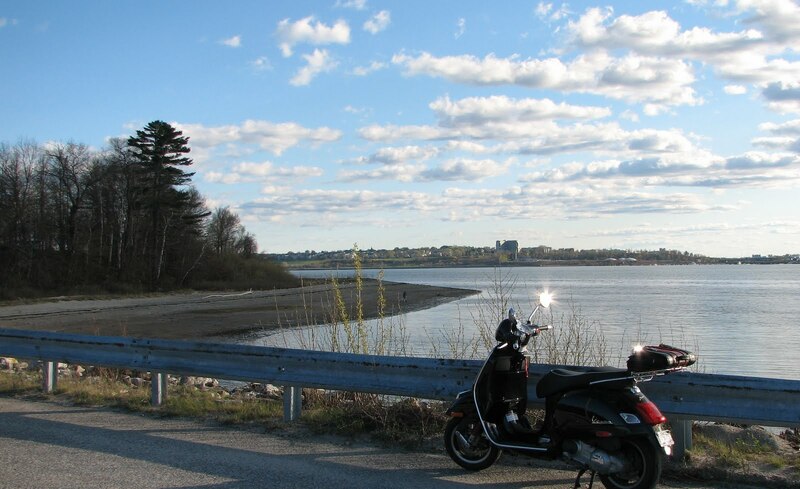 On the border between Falmouth and Portland, and just off the coast, is Mackworth Island. It's the home of the Governor Baxter School for the Deaf, as well as a popular hiking trail that circles the 100-acre island. I parked my Vespa on the causeway that connects the island to the mainland. 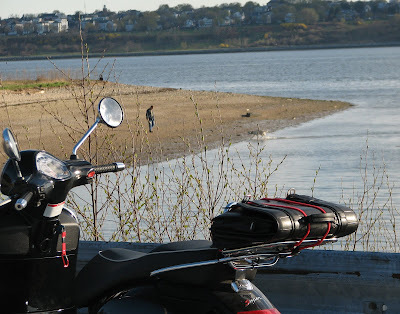 Note the man with the dog: He is training it to retrieve ducks, sending rubber ducks into the water with a lacrosse stick. It's pretty cold out there, but if someone was flinging cheeseburgers into the sea, I'd most certainly be retrieving a bunch of them. Looking toward Portland's Eastern Prom. 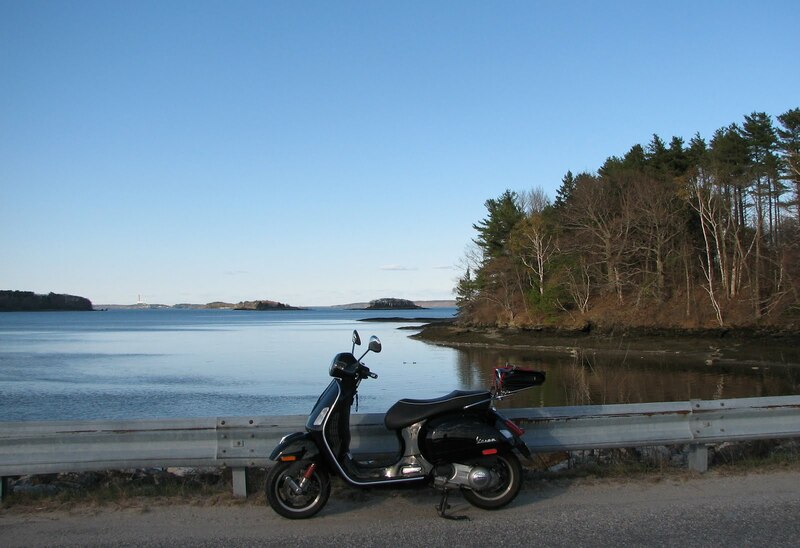 The large building just above the Vespa's headlight is an apartment complex at the west end of the Prom. 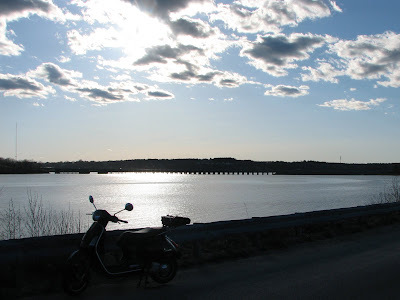 The sun is going to set soon over Portland, and until I pass my motorcycle road test, I must be off the road by sunset or I turn into something much worse than the fairy tale pumpkin- I become a grounded Vespa rider!